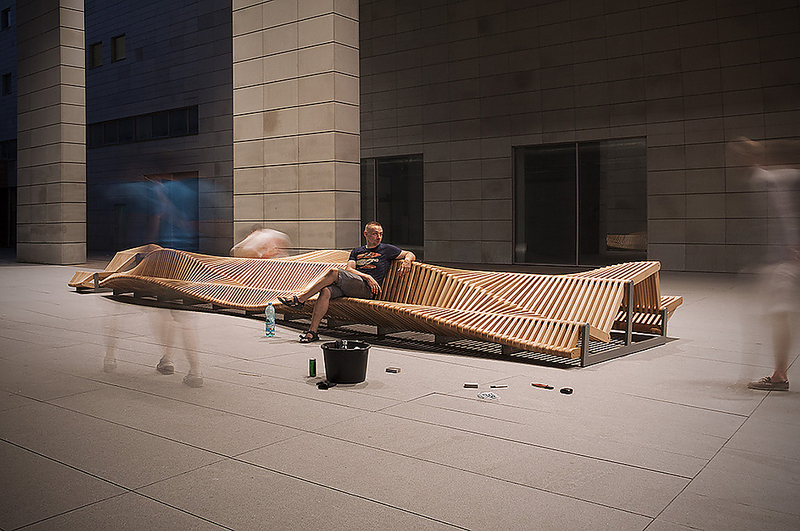 HomeBlogVariousUiliuili Bench by Piotr Zuraw. 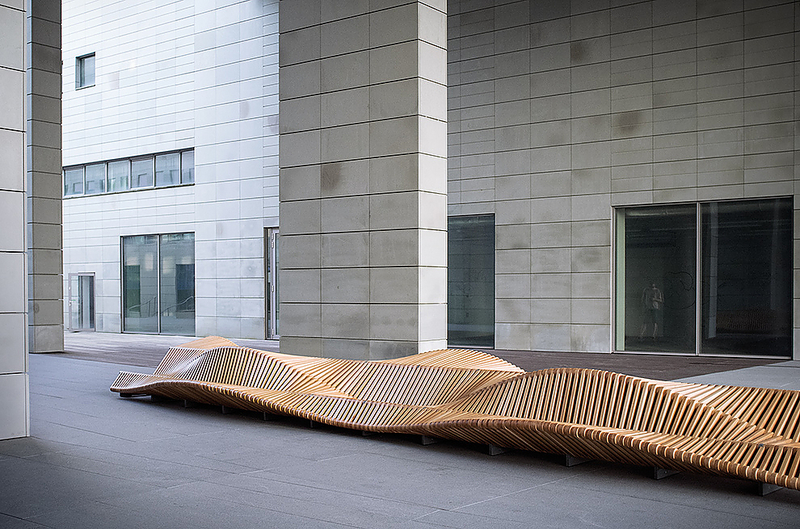 This distinctive bench was constructed as part of the “Wroclaw City Furniture Project” by the University of Wroclaw in Poland. 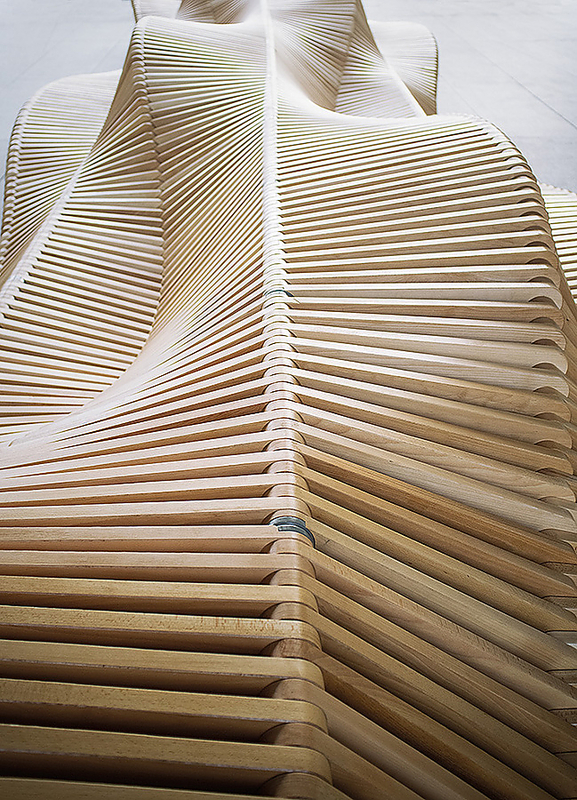 The uiliuili bench features an intriguing aesthetic form. 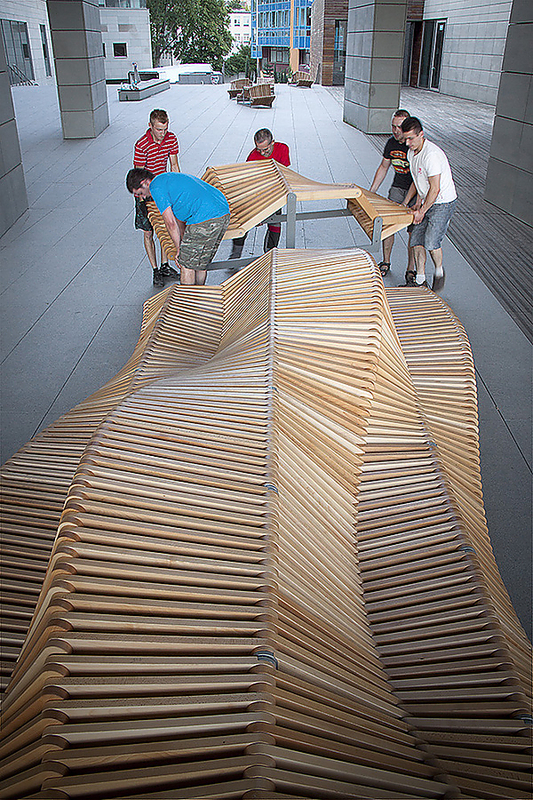 Its curious shape is unconventional and encourages unconventional behaviors. Users can sit, lie down, stretch, curl up, sit a bit higher, climb, jump, the ossibilities are endless, it encourages creativity. 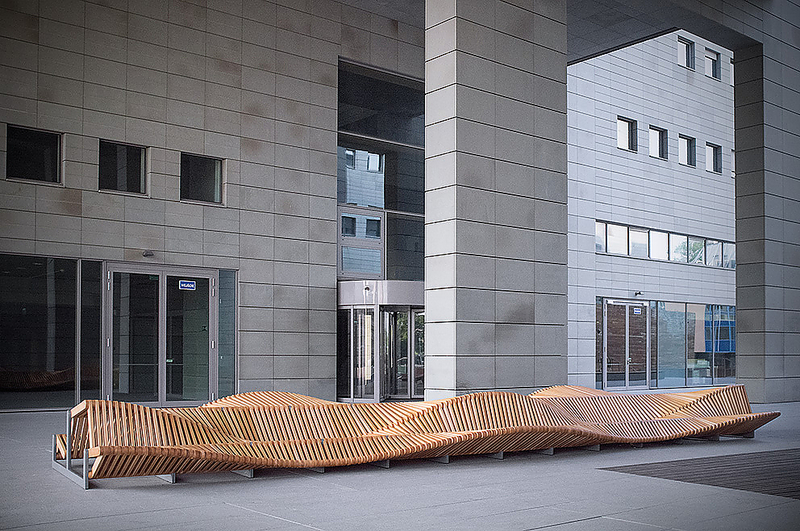 The bench is situated on Grunwaldzki Campus, at the main entrance to the University Library on Fryderyk Joliot-Curie street. Set in the space of the minimalist Library building, it attracts attention but does not dominate the landscape. It is a structure of beauty combines with utility. 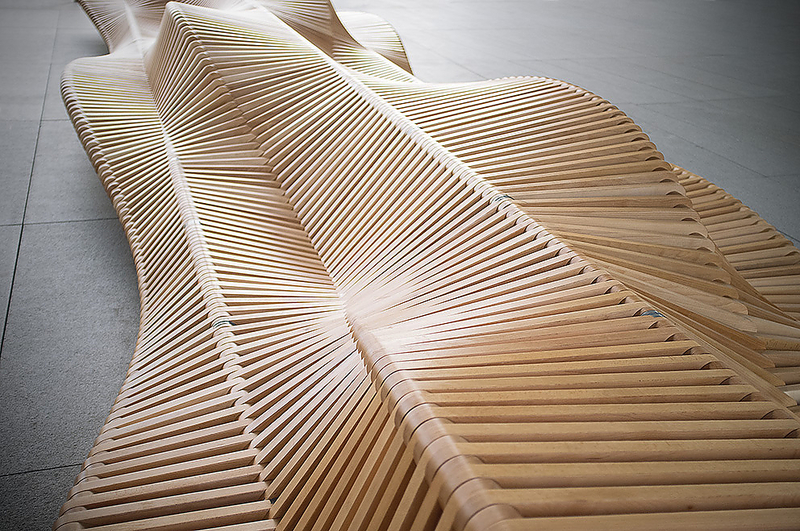 Even the name of the bench is symbolic, the order of letters in “uiliuili” resembles the undulating shape of the bench. 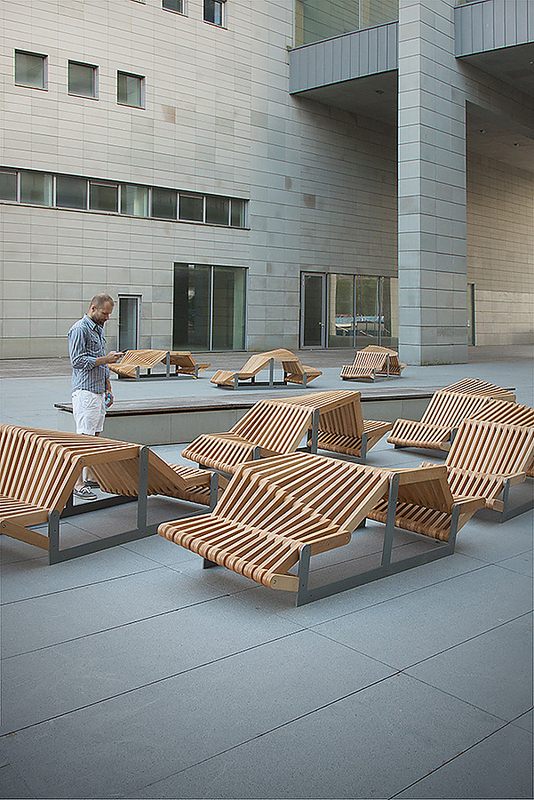 The bench is not only intended to be used during breaks from intellectual work, one can read and relax on it, yet t it is also meant to be a meeting and resting spot for all who appreciate good design and are open to new, inspiring solutions. In fact the whole project was in line with the beliefs and teaching approach of the university. The University promotes inspirational ideas regardless of their scope and nature. What counts is their uniqueness.